An infected mosquito passes the virus to you through a bite on your skin. 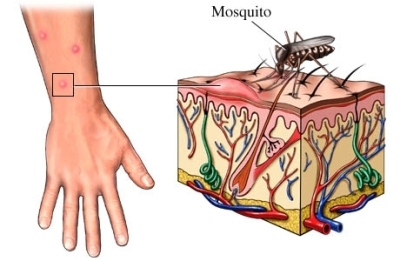 Symptoms appear within a week after a mosquito bite. 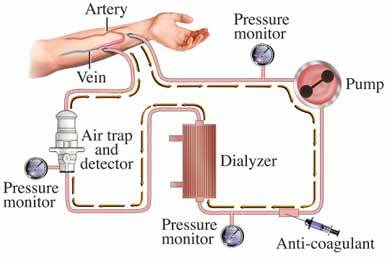 The acute phase lasts 3-4 days, then symptoms go away. Some people progress to the toxic phase. This starts within 24 hours of the end of the first phase. Recovery will provide lifetime protection against yellow fever. If you live in or are traveling to an area where yellow fever is common, talk to your doctor about getting the vaccine . García-Rejón JE, Loroño-Pino MA, Farfán-Ale JA, et al. Mosquito infestation and dengue virus infection in Aedes aegypti females in schools in Merida, Mexico. Am J Trop Med Hyg. 2011;84(3):489-496. Walker KR, Joy TK, Ellers-Kirk C, Ramberg FB. Human and environmental factors affecting Aedes aegypti distribution in an arid urban environment. J Am Mosq Control Assoc. 2011;27(2):135-141. Yellow fever. Centers for Disease Control and Prevention website. Available at: https://www.cdc.gov/yellowfever/maps/index.html. Updated March 27, 2018. Accessed May 11, 2018. Yellow fever. EBSCO DynaMed Plus website. Available at: https://www.dynamed.com/topics/dmp~AN~T114530/Yellow-fever . Updated May 7, 2018. Accessed May 11, 2018. Yellow fever VIS. Centers for Disease Control and Prevention website. Available at: https://www.cdc.gov/vaccines/hcp/vis/vis-statements/yf.html. Updated October 18, 2016. Accessed May 11, 2018.